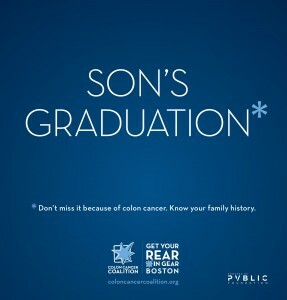 *Don’t Miss It Because of Colon Cancer rolls out targeting Boston commuters and draws attention to the realities of colorectal cancer and the importance of screening. Awareness messages will also be seen in other communities later this year. 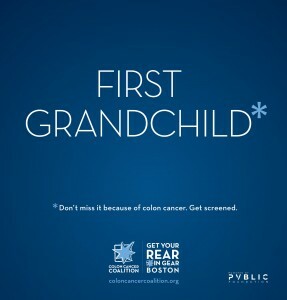 This “asterisks campaign” is meant to motivate people to action and encourage screening for the nation’s No. 2 cancer killer: colon cancer. 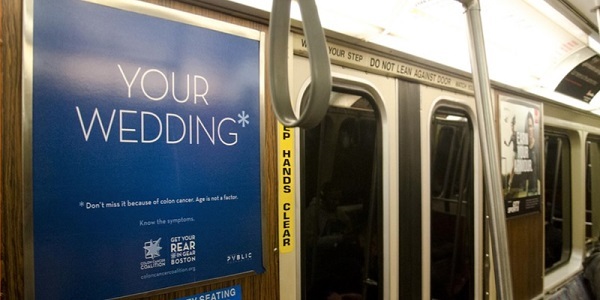 Now being seen on the Massachusetts Bay Transportation Authority Red, Orange and Blue “T” lines, the roll out was funded with money raised at Get Your Rear in Gear – Boston, and matched by a grant from the PVBLIC Foundation. 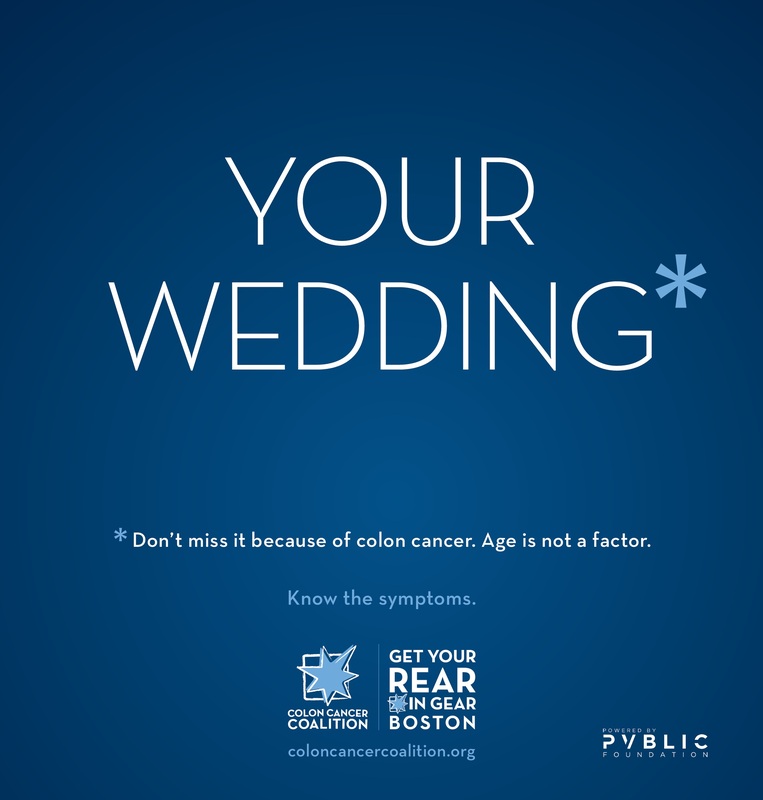 Created by OBI Creative out of Omaha (who also did our new logo and website last year), the campaign addresses the sobering truth that colon cancer can interrupt life as usual. 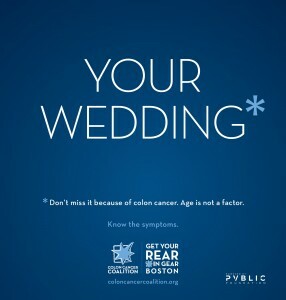 A simple asterisk around important events including Your Wedding, a Son’s Graduation, and the birth of the First Grandchild, provides a brief, yet emotionally impactful message that some terms and conditions may apply. 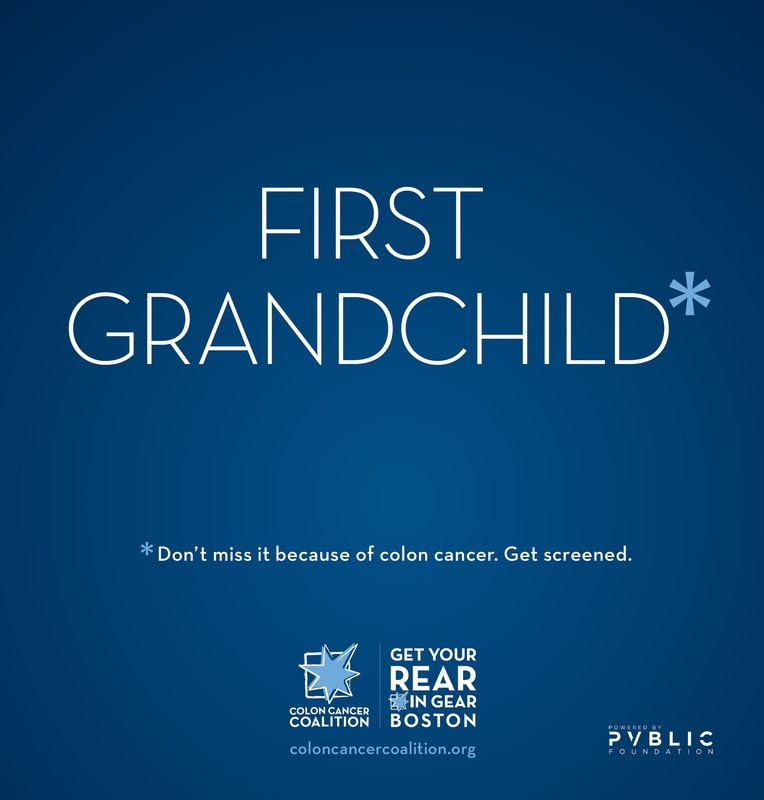 Targeted at people of all ages, messaging within the ads warn ‘*Don’t miss it because of colon cancer’ and encourages colon cancer screening, as well of awareness of the signs, symptoms and an individual’s family history. 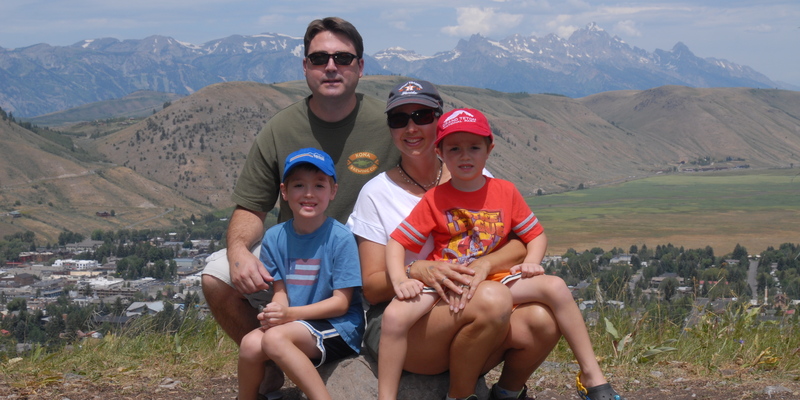 Learn what your screening options are and why it is important. The fifth annual Get You Rear in Gear – Boston will be held Saturday, September 19, at DCR Mother’s Rest at Carson Beach in Boston. Registration is open. To request the campaign come to your community, please contact Erin.